The Migration Period collection of the Budapest History Museum has functioned as an independent collection within the Department of Prehistory since 1954. The collection moved to its current location in the museum’s Záhony Street building in 2000. 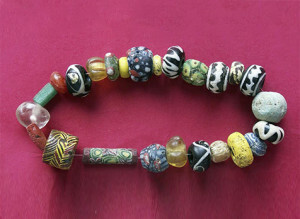 The department collects archaeological finds connected to the Sarmatians, Huns, Germanic tribes and Avars who lived in the region between the 1st and 9th centuries. The systematic collection of Migration Period remains in the museum from the territory of Budapest only began in 1934. Before that only a few fragmentary objects or grave-goods were taken to the Metropolitan Museum (predecessor of the present-day Budapest History Museum). Preventive excavations connected to major construction works beginning in the 1950s and 60s and restarting in the late 1980s increased the size of the collection, which doubled in 2008, reaching 56,586 objects in 2011. The Collection’s Photographic Archive contains almost 5000 analogue and some 17,000 digital photos. While this is certainly the smallest archaeological collection of the Budapest History Museum, it nevertheless contributes beautiful and unique finds to the exhibition “Ancient Peoples – Ancient Cultures” in Building E of the Buda Castle. Anita Korom, archaeologist, curator of the collection.